Secretary of State Rex Tillerson on Wednesday said that there are indications that sanctions imposed on North Korea earlier this month are working. He said evidence is emerging of fuel shortages in the communist dictatorship as a result of the UN sanctions adopted earlier this month. “We knew that these sanctions were going to take some time to be felt, because we knew the North Koreans, based on information that the Chinese had shared with us and others had shared with us, had basically stockpiled a lot of inventory early in the year when they saw the new administration coming in, in anticipation of things perhaps changing,” said Tillerson at a press briefing. Under the Security Council sanctions adopted on Sept. 11, supplies of refined petroleum products have been reduced. Under resolution no. 2375, UN member states cannot sell more than 500,000 barrels a day of refined petroleum products for a period of 3 months. Member states can still sell the same amount of crude oil they had been selling to North Korea, but not increase the amount. 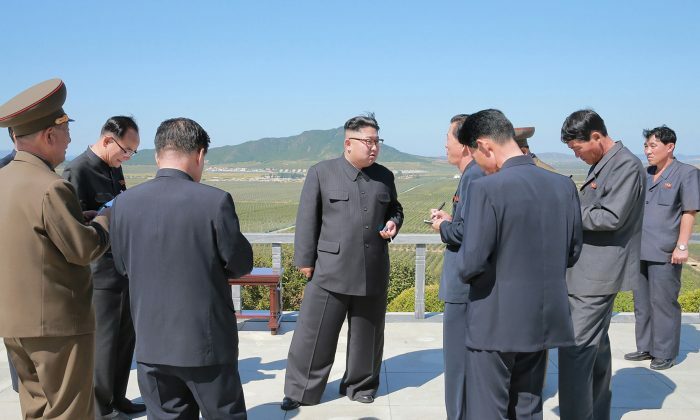 The sanctions also ban the sale of natural gas liquids to the North Korea, as well the imports of any textile products such as fabrics and apparel products from North Korea. President Trump had sought a full ban on oil exports following its test of a nuclear bomb, but received pushback from China and Russia in the Security Council. Besides testing a nuclear weapon underground earlier this month, the North Korean regime also fired two ballistic missiles over Japan in the span of less than a month. “I spoke with President Moon of South Korea last night. Asked him how Rocket Man is doing. Long gas lines forming in North Korea. Too bad!”, Trump said in a tweet on Sept. 17. 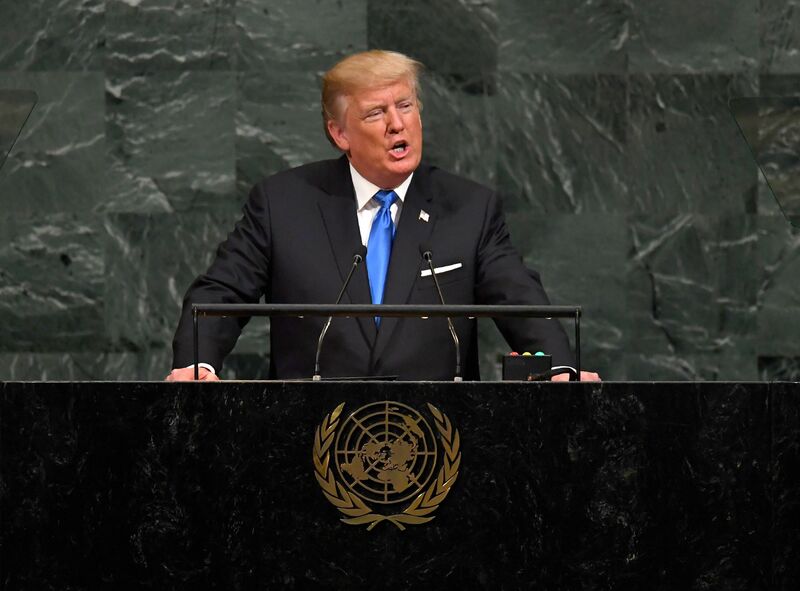 In his speech before the 72nd UN General Assembly, Trump spoke forcefully against North Korea’s nuclear program, calling on world leaders to take a stronger stance. “It is time for North Korea to realize that the denuclearization is its only acceptable future,” Trump said. “The United States has great strength and patience, but if it is forced to defend itself or its allies, we will have no choice but to totally destroy North Korea. Rocket Man is on a suicide mission for himself and for his regime. The United States is ready, willing and able, but hopefully this will not be necessary. That’s what the United Nations is all about, that’s what the United Nations is for,” Trump said. Japan announced in response to the North Korea’s latest missile test that it is deploying another missile system on its northern island of Hokkaido. “As part of measures to prepare for emergencies, we will today deploy a PAC-3 unit” in the southern tip of Hokkaido, Defence Minister Itsunori Onodera told the AFP news agency on Tuesday. The Patriot Advanced Capability-3 system arrived at the Hokkaido base later on Tuesday, an official said. Despite the new UN sanctions, South Korea says it will still send $8 million worth of aid to North Korea. The decision to send aid to North Korea was not popular in South Korea, hitting President Moon Jae-in’s approval rating. It also raised concerns in Japan and the United States. The South Korea’s Unification Ministry said its aid policy remained unaffected by geopolitical tensions with the North. The exact timing of when the aid would be sent, as well as its size, would be confirmed later, the ministry said in a statement. The South Korea said it aimed to send $4.5 million worth of nutritional products for children and pregnant women through the World Food Programme and $3.5 million worth of vaccines and medicinal treatments through UNICEF. “We have consistently said we would pursue humanitarian aid for North Korea in consideration of the poor conditions children and pregnant women are in there, apart from political issues,” said Unification Minister Cho Myong-gyon.